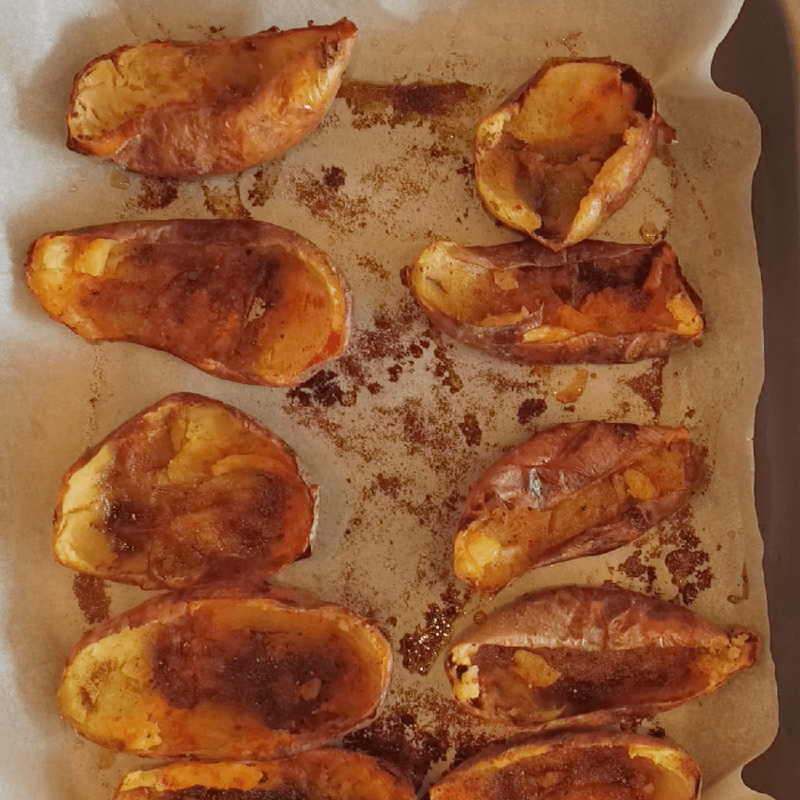 Get an adult to heat the oven to 200C/180C fan/gas 6 and bake the potatoes for about 1 hr until cooked and the skins are crispy. nb; if using cold leftover mashed potato here – warm through about 500gr cooked weight mashed potato, add the butter and then fold in the 60g flour mixed and ¼ tsp baking powder. Mash the potatoes with the butter and salt and pepper until smooth and combined. Add the flour and baking powder and work this into the potato quickly with a light kneading action. Divide the dough in two and roll out each half on a lightly floured board to form a circle about the size of a dinner plate. Cut into quarters (farls). In a non stick frying pan over a moderate heat, add the cooking fat and when hot, add the farls, frying for about 3 minutes on each side until nicely coloured and hot through. Get an adult to heat the oven to 200C/gas 6 (if it isn’t already on from the potato baking). Cut the potatoes in half and use a spoon to scoop out the middle of the potato, leaving the skin unbroken (like a boat). Place the scooped potato into a bowl. Get an adult to heat the oven to 200C/gas 6 (if it isn’t already on from the potato baking.